Deborah Moore has called Middlesex County home throughout her entire life. She grew up in Chester, and still lives and works where she has roots. So it’s no surprise that she lives by the mantra, “Live Local and Give Local.” Deborah is grateful for all her community has given to her, and in return, she supports nonprofits that sustain Middlesex County. 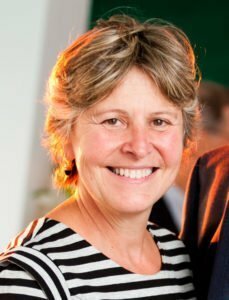 It’s not just the present that matters to Deborah, though, and she has made plans to continue supporting her community for generations to come through a planned gift to the Community Foundation. We asked Deborah to share why she likes working through the Community Foundation and why she chose to leave a gift to benefit Middlesex County through CFMC in her estate plan. CFMC: How did you get involved with the Community Foundation originally? Was it an introduction, an event, or through another channel? Deborah: My husband Roy was invited to an event, as one of his work colleagues was on the Board of Directors. Roy was out of town so I went on my own. I discovered that I knew a lot of the people who were attending. The event was held at the Connecticut River Museum, one of the local nonprofits. I learned about what the Community Foundation did and how the synergies between the two organizations could be helpful. Shortly thereafter I was asked to be on the Board by the former Executive Director. I then discovered how little I knew! I was on the Board for 9 years and I have just started a second cycle. CFMC: You have a wide array of interests and passions, and you are an active volunteer. What draws you to the Community Foundation of Middlesex County? Deborah: I work in Middletown and I live down county, so I have a regional view of the nonprofits in the area. I see that towns have the same challenges, and some towns have very specific needs. The nonprofits have different needs and the timing varies for when their needs arise. The Community Foundation has the pulse on the community and the local nonprofits, and they have the ability to be very proactive in directing grants to those organizations with the most need. I don’t think all my philanthropy has to be directed by me. I am happy to let the Community Foundation direct money where it needs to go. 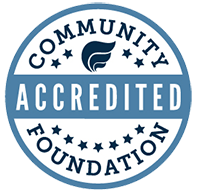 Additionally, the Community Foundation is a very well- run philanthropic organization. I have sat on multiple boards and this Board is professional, hardworking, diverse, and talented. They are both introspective and forward thinking. They are very good stewards of the money that is donated to them. All of that is very important when considering donating money to an organization, especially a planned gift. CFMC: Do you have a few specific organizations you support or are you more interested in areas of need? Deborah: Some of my philanthropic giving is made directly to nonprofits; I support the service agencies in the town where I live and I support the Florence Griswold in Old Lyme. The rest is given to the Community Foundation, and I tell them to use it however they think it is best utilized. While I do have specific interests, I joined the Board at a time when it was important to let the Community Foundation direct the money, not me. You decided to make a planned gift to the Community Foundation in your will. Why? I was born in Chester and have spent most of my life living within 15 miles of the house where I was born. I think this is a very special place and I think it is important to give back to the community that has provided me with a wonderful life. I know that a planned gift will help sustain the Community Foundation for years to come and help make a difference in the community. I know that the Community Foundation will invest the money wisely and it will go where it is needed. CFMC: Anything else you would like to share with our readers and visitors? A final message about working with and through CFMC? Or just getting involved in the community in general? Deborah: It is very important for people to be involved in their communities. Nonprofits exist because there is a need to be filled that churches, schools, or governments don’t address. Volunteers can do so much; they can be so impactful. In the recession the Community Foundation put forth the slogan: Live Local Give Local. The idea behind the slogan was that if you did not take care of your town, it would suffer. If you did not support local nonprofits they would not be able to fulfill their missions and people and programs would suffer. We have rebounded from the recession, but I still believe: Live Local Give Local. Do you have a Legacy story? Every day, people from all walks of life make gifts to charity through their wills. It’s so simple and it does make a tremendous difference in the world they leave behind. If you are interested in creating your own legacy, please contact the Community Foundation and let us assist you. Join people like Deborah Moore and the other “Good People Doing Great Things”.